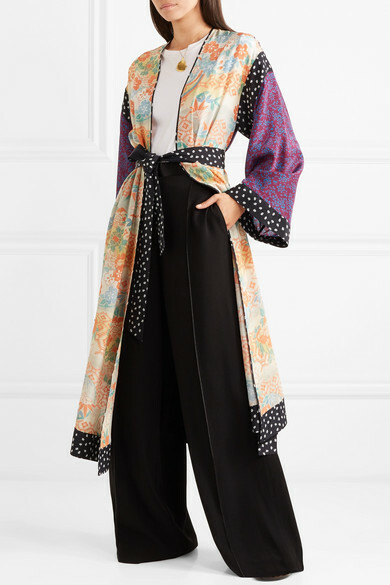 Cut with the same long and loose shape championed by designers Mary-Kate and Ashley Olsen, Elizabeth and James' 'Shawna' kimono looks like a vintage find. 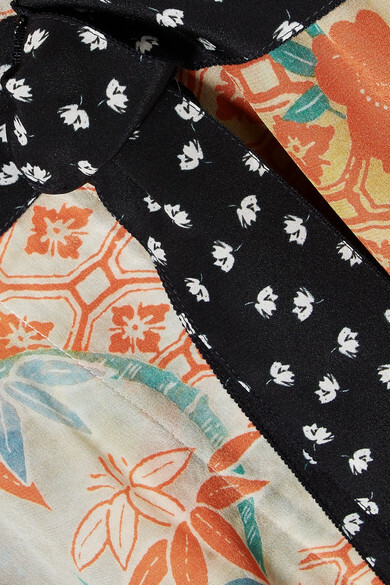 It's cut from a patchwork of silk-crepe and satin in different prints and colors. Cinch your waist with the detachable sash or wear it open over a T-shirt and pants. Shown here with: Elizabeth and James Pants, The Row T-shirt, Theory Shoulder bag, ATP Atelier Sandals, Alighieri Necklace.